What would you do if a time machine hurled you thousands of years into the past...and then broke? How would you survive? With this book as your guide, you'll survive - and thrive - in any period in Earth's history. 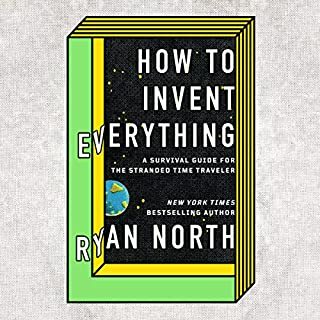 Best-selling author and time-travel enthusiast Ryan North tells you how to invent all the modern conveniences we take for granted - from first principles. This manual contains all the science, engineering, art, philosophy, facts, and figures required for even the most clueless time traveler to build a civilization from the ground up. An enjoyable and witty chrononaut survival manual. Disclaimer: In the event you are stranded in an alternate worldline this isn't the only book to bring. Although quite comprehensive in rebuilding society's technology, it misses the necessary weapons, self defense, hunting techniques, political strategy. Maybe revision 2 will fix that? Or maybe society would be better without weapons. Joking aside, this is a great look at how we all stand on the shoulders of giants. Our technology and harnessing nature's power is explained in sometimes excruciating but humorous details for the layperson. Although the visual depictions are missing, the narrator does a great job describing them. Clearly, this is geared for rebuilding western society. Complete with the snarky "It took this long for humans to develop xxxxx!?!" Written by disgruntled employees of Chrononaut Solutions. I recommend this book to anyone looking for perspective on our modern society. 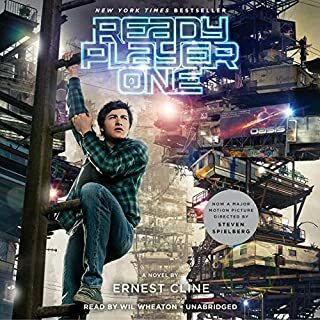 As I started this audio book I was skeptical about the character building and back and forth dialog. It was shallow and tedious. Another coming of age story. Bla, bla. As the story line built experience and drama, I became more connected with the characters. I bet the author intended this because by the time it was winding to a close the well researched 70's and 80's trivia and cultural references were becoming less annoying and more engaging. By the end of the book I was rooting for Parzival with the standard underdog vs. evil corporation story line. Unless you don't care about any American culture before 2005 this story will strike a chord with you. Especially if you've ever watched TV (the tube kind) with rabbit ears and played a real video game that takes quarters in an arcade. I look forward to seeing the film, and not looking forward to the overly sweetened Spielberg screenplay attached to it. The book has more grit. Apropos that Will Wheaton was narrating, I'm surprised there weren't many StarTrek references, given that voice. There was one well put reference to himself. You'll want to listen to the book to find that egg.